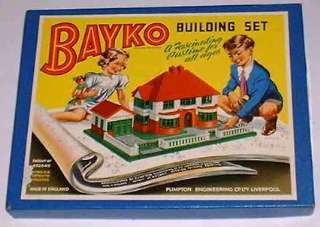 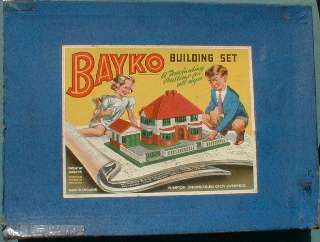 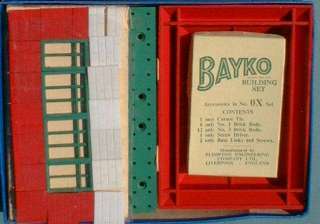 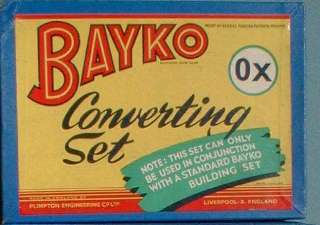 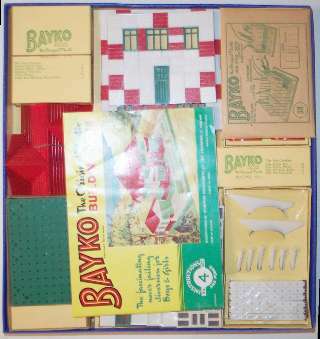 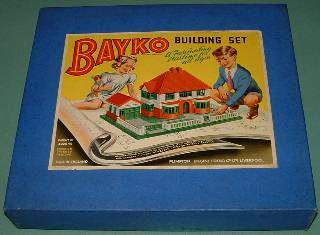 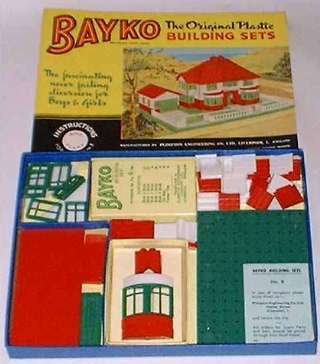 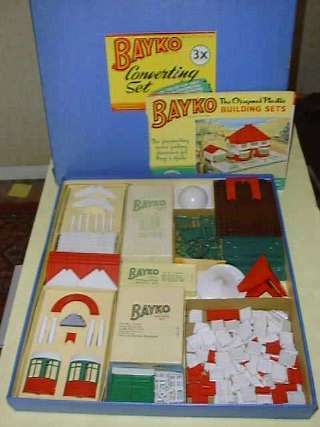 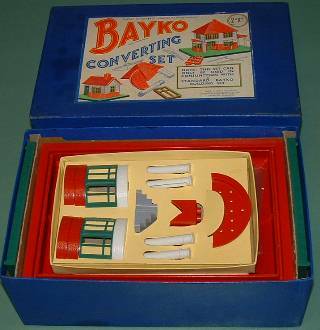 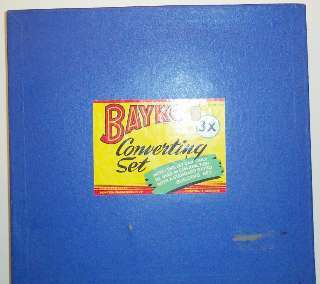 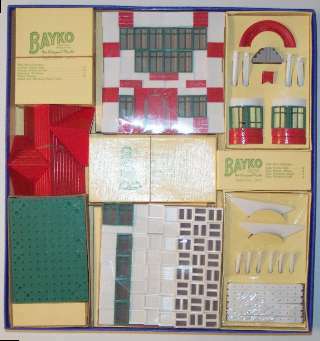 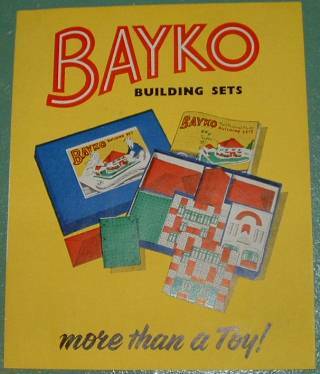 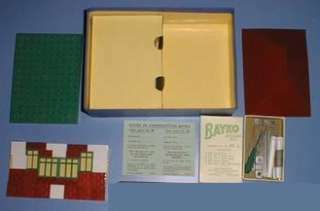 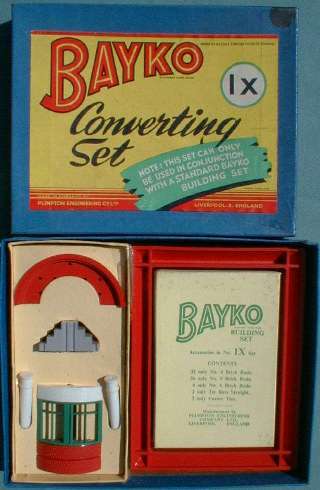 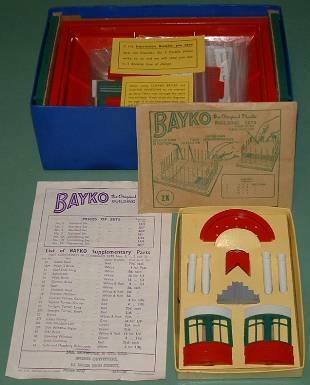 This page contains a selection of Bayko sets from the 1950s Plimpton era. 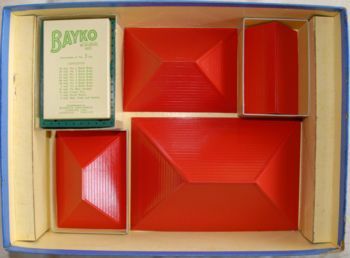 Most of the outfits have been played with, so the parts may not be in their original positions, but the cardboard packaging and other inserts are mostly still there. 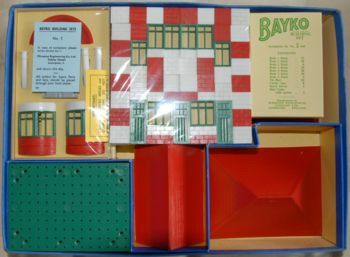 Photographs of mint sets are hard to come by. 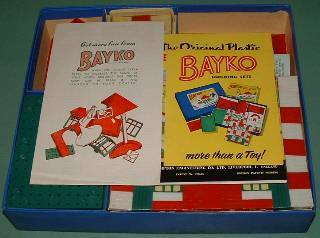 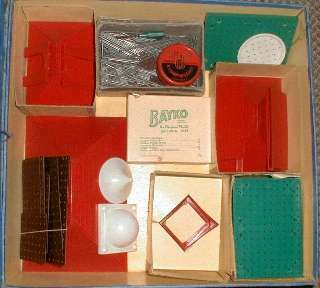 If you have any Bayko photographs that I could use on this site, please email me. 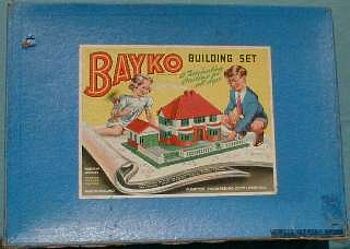 All photographs are credited. 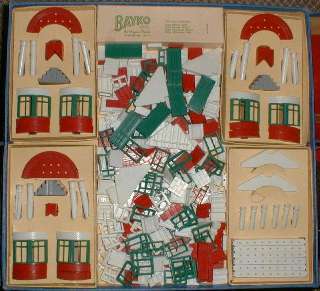 This set contains the new TV Aerial (top left) and glazed Windows. 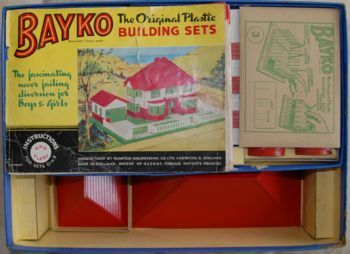 Unused set, mostly still wraped in cellophane. 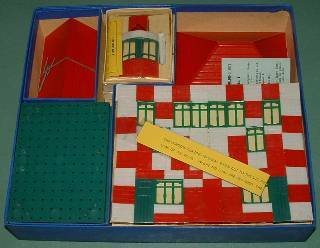 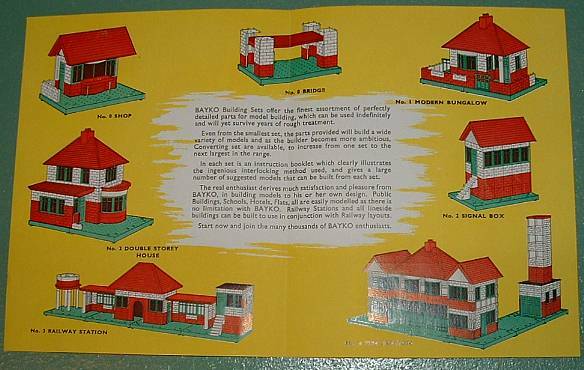 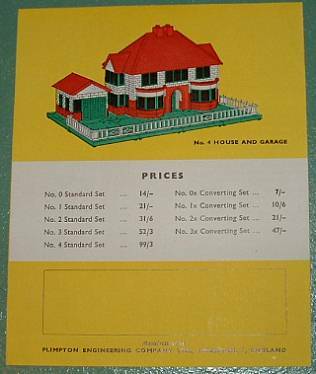 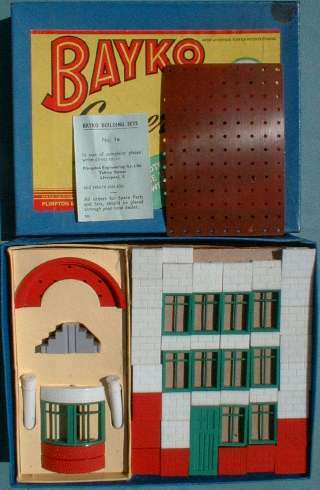 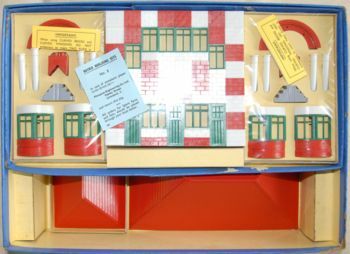 This set contains the green Garage Doors, introduced in 1959, and produced for one year only. 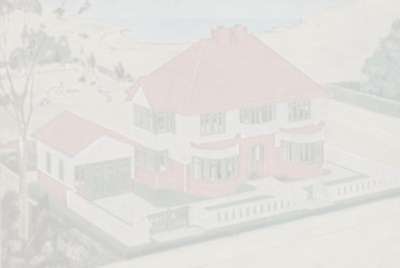 They can be seen at the bottom centre of the picture.